URLai.com will take any blog an analyze the posts to try to figure out info about the writer. 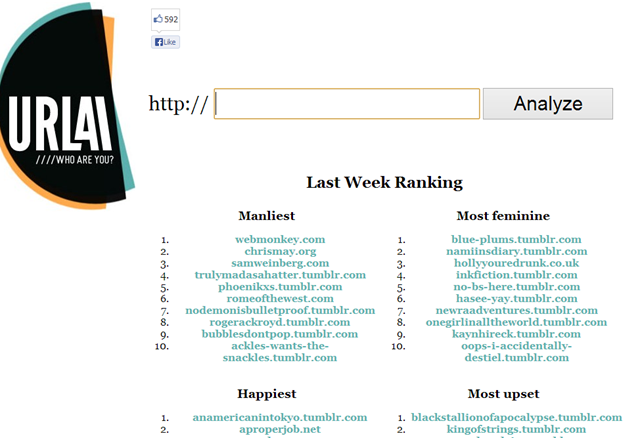 According to them, I have the 2nd most manly blog of the week! To 1/2 of 1% overall! Hell yes! I’m coming for you webmonkey.com! Football! Cars! Guns! Meat produts! Tools and wood working! Cigars and fighting!